Life Update – I Moved! I’m excited to share that I recently moved into the most adorable apartment! A bright and airy flat with an open floor plan that will lend to increased creativity, hosting friends and family, and the ability to create a vibe that speaks to who I am. A home. We are slowly getting settled in, yet there is so much more to do. I look forward to all of the DIY projects we are planning for the next few weeks! Take a look at the plans and inspiration for design and decor as we embark on the journey on making our small apartment a home. Combining a few styles of interior design and decor, our ultimate goal is comfortable and warm, yet stylish. Much of the big furniture we’re eyeing is mid-century modern. Think hairpin legs and clean designs for our sofa and bed. We settled on a budget-friendly sofa & chaise lounge combo that doubles as a comfortable sectional. World Market has some great deals on furniture, I can’t wait until it arrives. I’ve always had an affinity for plants, growing up I had a huge backyard and spent countless hours exploring and playing amongst nature. My goal is to bring nature indoors. 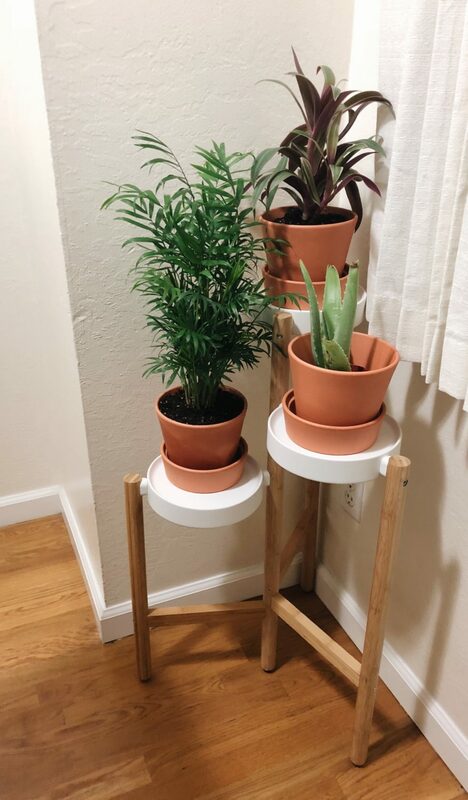 Since we don’t have outdoor space attached to the apartment, we’ll be utilizing plants throughout. To finish things off, I love boho accessories and plan to incorporate handcrafted accessories for added warmth. This yarn wall art I created some time ago will have a new home! 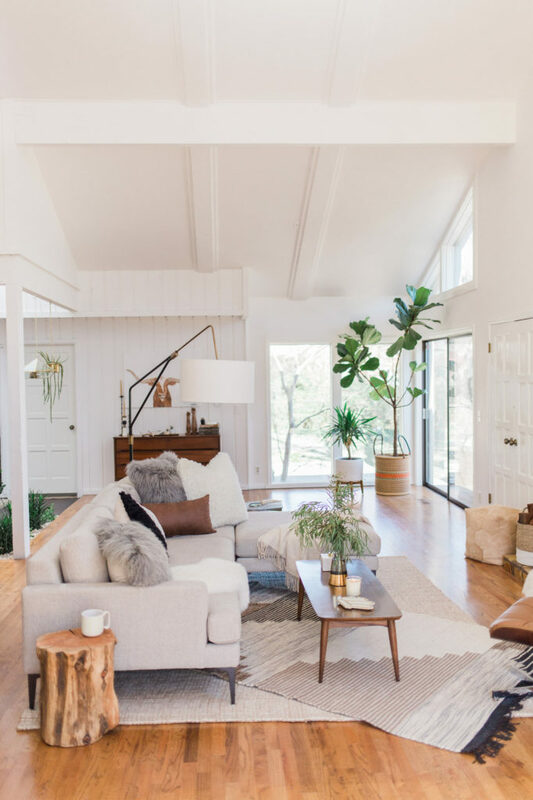 Put them all together and the end result is something that, with any luck, will look similar to this amazing home featured on West Elm’s blog. Teaser: here is the first look at a (tiny) space! Aside from the excitement of my new apartment, I also look forward to enjoying everything that comes with my Lake Merritt neighborhood. After moving away a couple years ago, I have definitely been missing everything that comes with living near The Lake – from dining and nightlife to living a few steps away from the best workout in the bay area! Previous Post: « Hello 2018 – Setting intentions for the new year!